Today is 'In Bed With The Beast' release! Congrats to Tara Sivec for another amazing book on this 'The Naughty Princess Club' series! In this new reading of 'Beauty and the Beast' fairy tale, we'll know more about Belle, a shy librarian that needs to find a way to save her second home: the local library. But in the process, she ended up being kicked out of her house, and when she had nowhere else to go, Belle was helped by the grumpy Vincent Adams, also known as Beast, who works as security guard at Charming's. Isabelle needs money to save the local library and that's the reason why she joins her friends Cindy and Ariel in 'The Naughty Princess Club', that came up from a misunderstood and ended up being something that could help all the three women with their momey problems. When the news about closing the library gets stronger, Belle is nothing more but despair. And to get worst, a fight with her dad leaves her without a place to live and she spends her nights at the library until Vincent, also known as Beast, who have been going to the library very often these days, corner her and don't offer other option but accept his help by staying at his house. Tought a little bit hesit in the beginnig, she accepts but Vincent has some rules: no pijama parties with her friends while he's at home, no men and, the most important rule: never open the only locked room in the house. Since the first time she saw Vincent at Charming's, Belle always thought of him as enigmatic and that we had worked for his Beast nickname, and now that they're roomates, the young librarian can't stop thinking what he's hiding. And as if it wasn't enough, she starst see him with a new light, but the library's financial situation is getting even more complicated and Belle don't see a way out but step on stage for the first time with 'The Naughty Princess Club'. The only problem is that Belle isn't someone with a lot of experience... And once again Beast offers his help. She would practice with him and when Vincent believed she was ready, Belle would go for her first strip. Meanwhile, things started to heat up between them and as all pointed, Belle wasn't the only one who was feeling things change. The problem? Problems, actually... Besides Vincent has some secrets, he also has a rule he takes very seriously: don't get involved with women with that kind of work. Mas what would happen when Vincent relized he couldn't control the situation and that there was a high risk of losing the best thing that happened in his life? Guys, I thought the first book was good, but 'In Bed With The Beast' is even better! Hahahahha! Really! I believe it was the best reading of a modern fairy tale based on 'Beauty and the Beast'! From the beginnig to the end Tara Sivec keeps a comic writting that shapes a really amazing romance and with charismatic characters. For me, it was impossible to stop reading book before I got to the last word! Isabelle is that character that lives with her nose buried in a book, who knows facts that are not really relevants and has zero social life. Just like me! LOL! I loved the way the author worked the character's growth, and that is something you can spot easily during the reading. Belle is funny and a quite shy, but that doesn't mean she can't be strong and have a voice. Besides that, her loyalty is the end game, she's so loyal that she ends up kicked out of house after she fights with her dad to defend her friends. From the start, actually since the first book, Vincent always seemed to be a little bit reticent about those three women start an adventure in that new world and their presence at the Charming's, but that didn't stop him to help Isabelle when she needed the most. Slowly we can see how he starts to getting used to her presence and how he deals with some new feelings about the nerdy librarian. 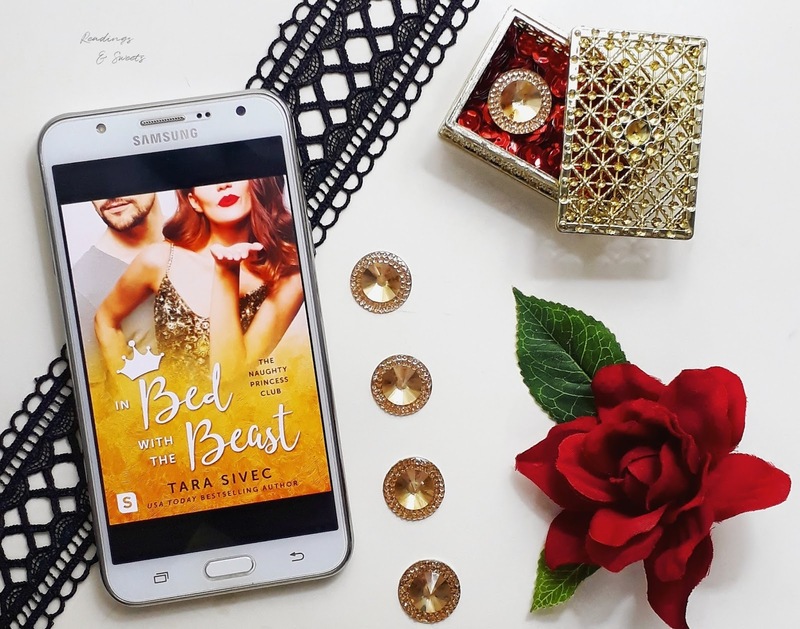 I had a lot of fun reading 'In Bed With The Beast', since the first page Tara Sivec brings comic scenes between the girls, Belle's despair and running out of time to save the library, Belle and Vincent in a very dangerous dance... And Vincent's secrets?! I did not see that coming! Oh man, I just loved it! Can't wait to read Ariel's story!